Our thoughts on LinkedIn’s redesign! If you’re one of those people who only venture onto LinkedIn to check who has been spying on your profile, you’ll have noticed it’s looking particularly swish at the moment. Towards the middle of January this year LinkedIn started rolling out the largest desktop redesign since it’s inception – and it was about time! Now the rollout has finished, everybody can see it in all its shiny glory. 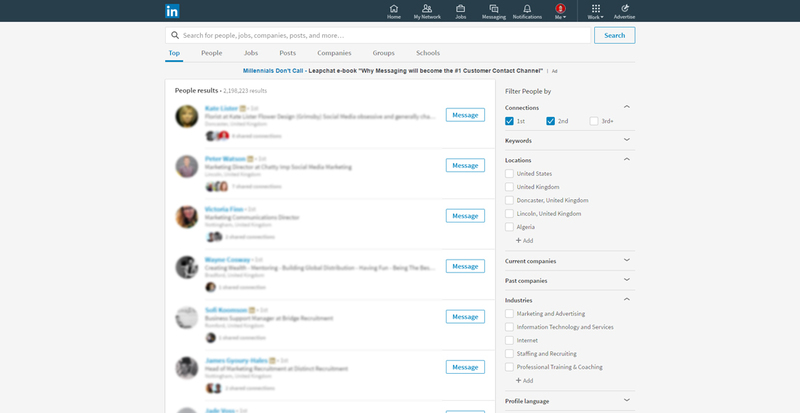 Thankfully the new LinkedIn FEELS as though it has been completely overhauled, which is refreshing. Sometimes with these “rebuilds” they just chuck on a new user interface and hope for the best. You can really see where they’ve drawn inspiration from other popular social networks, and it’s worked. For those who don’t know, LinkedIn is the Facebook for B2B networks. It’s the largest professional network with around 106 million unique visitors a month. LinkedIn enables you to create a professional profile and connect with colleagues, old school friends and other professionals. For businesses, LinkedIn is a great marketing tool. You are able to target incredibly specific groups of people based on data the professionals submit themselves. There are now seven key areas on the bar navigation. Search, Home, My Network, Jobs, Messaging, Notifications and Me. You can also navigate further with the Apps button, taking you through to Advertising, Jobs and more. The new feed, classed as a “richer feed to keep you informed” has left me in two minds. It uses a mixture of fancy new algorithms and actual human editors. These work together to pick and choose what it feels you care most about. Personally, we have never been a fan of algorithmic news feeds, we much prefer the “most recent” feature from Facebook. A feature we believe LinkedIn have actually chosen to remove. The search functionality has also been rewritten. Users can now use the single search bar to find everything they need: Jobs, Companies, Groups, Schools and People. So it’s now easier for you to find out how that old colleague you hated is getting on. You can also filter your search via keywords, locations, current companies and much more. LinkedIn premium, however, will give you further search filtering options. We noticed in the LinkedIn press release information about the new way they’re handling messaging, which they’re calling smarter messaging. It’s much like you would have seen on Facebook, where your messages appear on the bottom of the screen. This means you can message a connection wherever you are on LinkedIn. However, we have not actually seen this in action, so we are not quite sure if it’s a premium only feature. If you’ve seen it, let us know! They’ve even added a great “ice breaking” feature. If you see a job advertised and you fancy it, if you have a connection who works at the company, they’ll suggest connecting with them. Overall, we are really impressed with the aesthetics of the new build. It’s a great push in the right direction for LinkedIn. Possibly saving a platform which was becoming underutilised. It’s actually pushed us towards spending money and sponsoring our content. We’re seeing great impressions and engagement, which is perfect for us. It’s about time we had a strong B2B platform we could get our teeth stuck into. For now, we will give the LinkedIn redesign 8/10. We’ll move to a 9 once we get our “sort by most recent” option back. Good job guys! How do you feel about the algorithmic news feed? Let us know in the comments below! 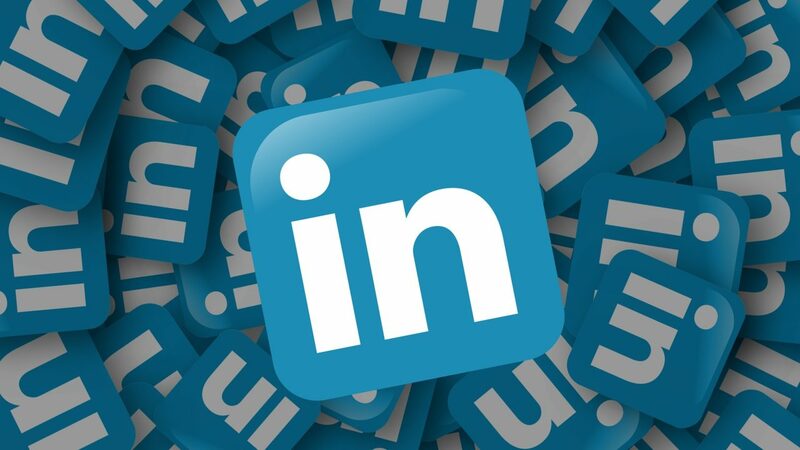 If you’d like to know more about how to use LinkedIn for your business, give our digital marketing team a shout on 01472 878 496 or email office@laser.red.